TRYCAN chairwoman Pam Annesley, vice-chairwoman Angie Beck and Mayor Tracey Roberts check a time capsule for the Mary Lindsay Homestead official opening on Friday, September 14. THE transformation of Mary Lindsay Homestead into a community arts and culture hub will be celebrated with a community event on Friday, September 14. Following the construction and refurbishment works that were completed earlier this year, the homestead building has been used by groups including the Two Rocks Yanchep Culture and Arts Network (TRYCAN), who will host demonstrations and an exhibition during the open day. Mayor Tracey Roberts will officially open the refurbished building which is steeped in local history. CR Roberts said the original timber-framed house was built in 1926 by the Bunnings brothers for Mary Lindsay, daughter of Australia’s first baronet. In 1955, the Wydgee Pastoral Company purchased the land from Mary Lindsay. The homestead was modified and passed into the hands of overseer Cecil Cockman and his family. In 1969 the farm was sold to Alan Bond Corporation, resulting in the Yanchep Sun City development project. Remaining under leasehold and tenanted until 2004, the property – inclusive of the homestead and surrounding area of public open space – was gazetted in 2006 as a reserve and vested in the City of Wanneroo for community purposes. The building now has gallery space with moveable walls, wet and dry areas for art projects, kitchen and an ‘artist-in-residence room’, with some of the original jarrah roof beams retained as part of the redevelopment. The surrounding public open space includes a favourite with plenty of space and barbeques for gatherings as well as play and fitness equipment. To celebrate the opening, a time capsule has been prepared, which will be kept in the gallery and opened in 50 years. The time capsule is a titanium cylinder, with the majority of items being scanned and burned onto a stone M-Disk, designed to last one hundred years. 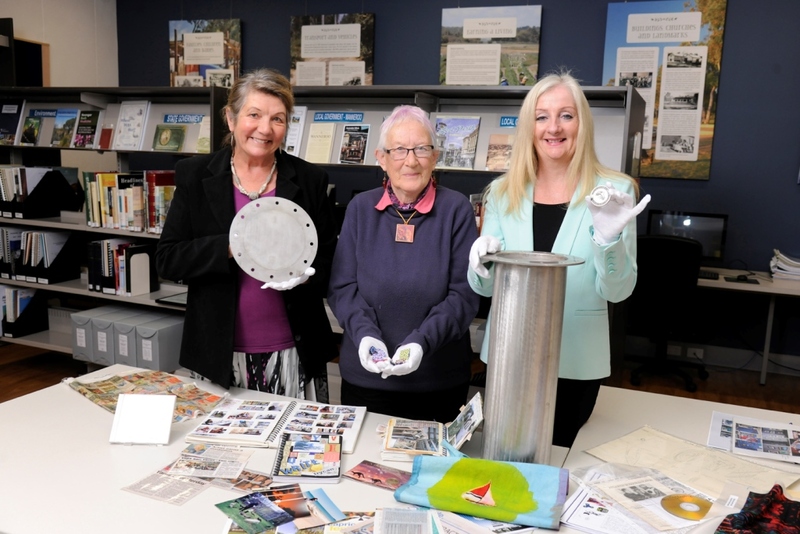 “Some of the thousands of items include biographies and stories from long-term Yanchep residents, historical images, newspaper clippings, current items from the people using the centre and some wonderful drawings from students at Yanchep Lagoon Primary School. The city received a $750,000 grant from Lotterywest which went towards funding the $3.6 million project. The event at Capricorn Esplanade will run from 10am to noon with the official opening at 10.30am.